Most of us are already in the habit of protecting our skin from the drying elements of the summer, but too often we forget that the winter is no time to step outside without moisturizing protection either. Arming yourself with one of the best moisturizers for dry, winter skin can keep you from experiencing dry skin that leads to irreversible damage. While medication, genetics, and cleansing routines are all likely culprits, environmental factors are usually the cause of your skin’s winter blues. Staying in doors won’t replace a moisturizer; central heating systems often come with their own drying effects. Since the lack of humidity in dry air draws moisture from the skin, it can create flaky, inflamed skin that’s in desperate need of hydration. According to sources at Human Nutrition, the most common cause of dry skin is cold weather though lifestyle and diet plays an important role in how our skin functions. Obviously, hydrating ourselves from within goes hand and hand with keeping the skin moisturized. Our skin produces sebum through its sebaceous glands to protect us from damaging pollutants and even the weather. When the skin becomes too dry, it can cause the sebum glands to react by increasing oil production which can cause oily skin and breakouts. The good news for those fortunate enough to have reactive sebum glands is that they tend to get more support through the winter months that keeps the skin from becoming excessively dry. What’s even better is that there are plenty of products for folks with oily skin to use that won’t cause clogged pores or breakouts, so there’s no reason for anyone to ditch the safety net of a moisturizer. In fact, when we skip out on effective moisturizers, we’re not only subjecting our skin to dryness: we’re leaving our largest organ totally exposed to environmental pollutants that can have real, long-term effects. According to this article published on Self.com, since many of these toxins can be up to twenty times smaller than our pores, they’re able to penetrate beyond the epidermis causing inflammation and dry skin. Repeated exposure to certain pollutants can alter our skin’s ability to protect itself and produce moisture, leaving uneven skin tones and premature signs of aging in their wake. There’s certainly no shame in having fine lines or wrinkles, but we can all agree that keeping away serious carcinogens that lead to skin cancer is extremely important. While the sun is considered to be the biggest enemy of the skin, using protection on cloudy days is still a crucial step in your skincare regimen. According to this article published by the Smithsonian, the erosion of the ozone layer means without nature’s shield, we’re more exposed to ultraviolet rays even if we aren’t in direct sunlight. Although we may need a moisturizer today more than ever before, the good news is that we have more options to keep our skin healthy and protected. UV protection doesn’t just come in synthetic forms, studies have shown the efficacy of several plant-based extracts that naturally protect the skin from the sun’s harmful rays without the need for harsh chemicals. Today’s moisturizers go beyond the call of duty—you can find formulas that are packed with antioxidants, unique plant-based extracts, and nourishing emollients that defend against harmful toxins. Rest assured there are moisturizers available for all your needs that can even out complexions, balance oil production, improve the skin’s elasticity and of course, heal damaged skin. Whether you have dry or oily skin, finding an option that’s hearty enough to provide long-lasting protection without leaving a greasy build-up can be challenging. If you’re looking for something that’s filled with a decadent amount of emollients that rapidly absorb into your skin, you’ve come to the right place: these moisturizers will give you the vibrant, glowing complexion your skin craves during the winter months. With the soothing properties of manuka honey, this cream will moisturize your skin even through the driest of times. A relative of tea tree, manuka honey has gained its notoriety due to its ability to reduce inflammation and redness. This product contains 100% active 16+ manuka honey which means it retains its potency because it isn’t diluted with alcohol, oils, or water. Formulated with aloe vera, shea butter, coconut oil, and cocoa butter, this cream includes a blend of nourishing oils to repair and protect the skin from dryness. Despite the robust emollients of this cream, reviewers are finding the lightweight consistency quickly absorbs into the skin, leaving an invisible layer of protection that lasts all day long. HydroPeptide Lumapro-C, 1 fl. oz. This luxurious moisturizer is well-worth the investment for anyone concerned with dry skin and hyperpigmentation. Since severely dry skin often leads to dark patches and an uneven complexion, this innovative formula wisely uses hydropeptide to repair and deliver moisture directly to your face. Formulated with antioxidants like vitamin C and resveratrol, a polyphenol commonly found in red wine, this lotion gently brightens the complexion while providing a significant layer of defense against dryness. It’s a great option for all skin types looking to invest in their skin’s future. Certainly not for the squeamish, but definitely for those with acne-prone skin in need of hydration, this facial lotion gets its benefits directly from bees and snails. It contains snail secretion which, believe it or not, is packed with hyaluronic acid, peptides, and antimicrobial properties that’s ideal for oily skin. Paired with bee venom, which boosts circulation and stimulates collagen production, this moisturizer is an excellent way to control breakouts without drying out the skin. With a price tag of twelve dollars and thirty-one five star reviews from loyal customers, this lotion is well-worth the buzz. If you’re looking for an intense burst of protective antioxidants that won’t cause irritation, this moisturizing cream is a dream come true for folks with sensitive skin. It’s formulated with vitamin C to prevent damage from the sun which is still a factor during the winter. This trusty cream uses nourishing oils that are known to revitalize dry skin like jojoba, rosehip, and argan oil. Enriched with hyaluronic acid, MSM, and niacinamide, to increase healthy collagen production, this lightweight cream works wonderful on mature skin by improving elasticity. This beautiful blend of emollients nourishes the skin deeply, keeping it soft and hydrated. 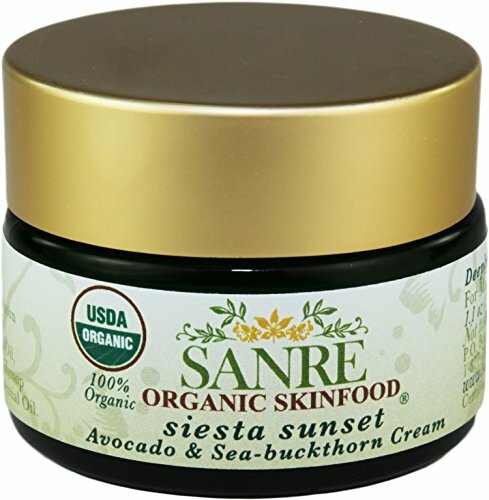 This moisturizer is great for anyone with dry, damaged skin due to its unique blend of plant-based organic ingredients. It contains sea buckthorn, a fatty oil rich in vitamin E and C that’s known for its moisturizing and healing abilities. Formulated with chamomile extract, avocado oil, aloe vera, and safflower oil, this hefty cream moisturizes and repairs the skin without the help of synthetic ingredients. 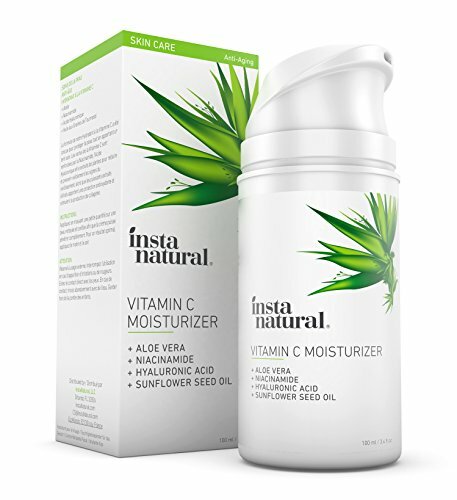 Reviewers on Amazon are finding a little bit of this daily moisturizer goes a long way and the supple effects can be seen within days.